Just in time for your spooky Halloween week, the living dead has been spotted lurking in your local bookstore. But where? Check in the neuroscience section. Yes, you read that right. With their endless wandering, lumbering gait, insatiable hunger, antisocial behavior, and apparently memory-less existence, zombies are the walking nightmares of our deepest fears. 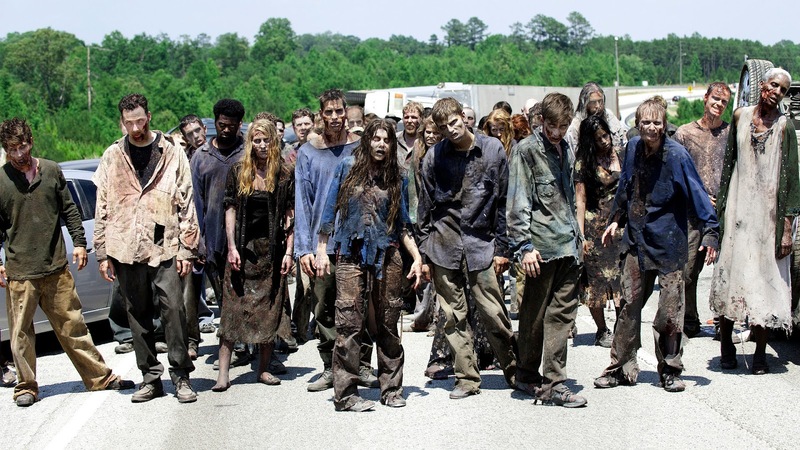 What do these characteristic behaviors reveal about the inner workings of the zombie mind? Could we diagnose zombism as a neurological condition by studying their behavior? In Do Zombies Dream of Undead Sheep? : A Neuroscientific View of the Zombie Brain, neuroscientists and zombie enthusiasts Timothy Verstynen and Bradley Voytek apply their neuro-know-how to dissect the puzzle of what has happened to the zombie brain to make the undead act differently than their human prey. Don’t be scared… check out this TED-Ed talk by Verstynen and Voytek (“Diagnosing a zombie: Brain and behavior”). Do Zombies Dream of Undead Sheep? was also featured on the blog of the NPR-affiliate in San Diego KPBS and featured in U-T San Diego. It’s all fun until someone gets bitten. While you still can, take a look at the introduction. My colleague was in the habit of needling his fellow scholars with this question. It struck particularly deep with me, because my book was about being afraid – or rather, it was about being excessively afraid and therefore failing to do what you should do. It was about cowardice. For twenty years, Walsh has studied the topic of cowardice. What exactly is cowardice? When terrorists are called cowards, does it mean the same as when the term is applied to soldiers? And what, if anything, does cowardice have to do with the rest of us? His new book, fittingly named Cowardice: A Brief History, brings together sources from court-martial cases to literary and film classics such as Dante’s Inferno, The Red Badge of Courage, and The Thin Red Line, to recount the great harm that both cowards and the fear of seeming cowardly have done. Walsh traces the idea of cowardice’s power to its evolutionary roots. But he also shows that this power has faded, most dramatically on the battlefield. Misconduct that earlier might have been punished as cowardice has more recently often been treated medically, as an adverse reaction to trauma, and Walsh explores a parallel therapeutic shift that reaches beyond war, into the realms of politics, crime, philosophy, religion, and love. Check out this coverage of Cowardice in Inside Higher Ed, and preview the introduction for yourself.